This book was later published in the US under the title Good Veg. I cooked this for the third time last night, on a dark and rainy spring evening in London. This soup is totally delicious, wholesome, creamy, a little spicy and the pot barley added a wonderful chew. It reheats well for a quick lunch. I will continue to make this recipe time and time again. What a delicious lunch! First time I've cooked tempeh at home and I will be doing it again and again. We went out of our way to get shiso leaves (also called Perilla leaves) but I don't think they were worth the effort - they have a very mild flavour (mint and aniseed). Next time I will use coriander and mint. I used cucumber in place of bean sprouts. The avo was a nice touch that you don't normally see in this kind of recipe. This is now on our favourite list! Alice Hart is a food expert and an incredible cook. Delicious and healthy vegetarian recipes are intrinsic to her cooking (not that the odd indulgence doesn’t feature). Alice cooks colourful and natural ingredients with taste and enjoyment in mind. 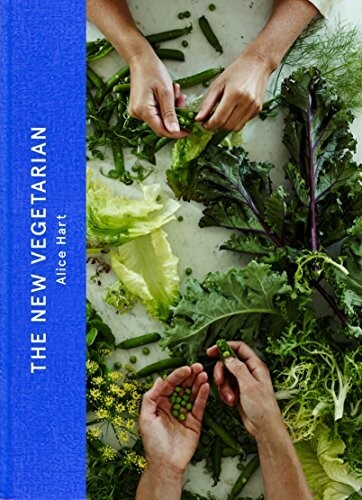 This book covers a wide range of nourishing, vegetarian food, featuring chapters on Mornings, Grazing, Quick, Thrifty, Gatherings, Grains, Raw-ish and Afters. With recipes from a raw Thai salad to hearty quesadillas to a vegan chocolate layer cake, this book will speak to everyone who loves delicious, feel-good food.